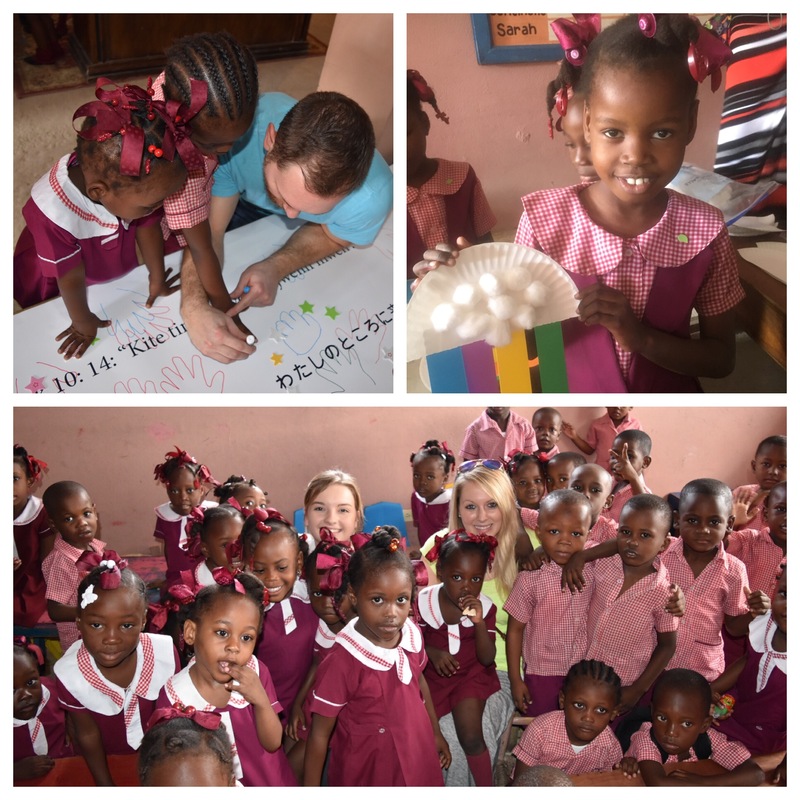 Being my second trip to Haiti, I have experienced what it is like to walk into Grace En Sion while school is in session, but the overwhelming joy that overcomes you never gets old. After making the kids go crazy with our arrival, we then went on to craft time with the students. We started with our global partnership craft, which includes a banner full of the children’s handprints & pictures that will be sent to Oono, Japan. Super Cool! Then, we moved onto 4200 cotton balls, 600 strips of annoyingly bright paper, and 300 paper plates which finally created a craft of rainbows that all the children were able to take with them! One great thing about today was how the group really came together and made this happen. It’s no small task making 300 rainbows in a hour! We left sweaty, exhausted, hungry, but yet completely overjoyed with the joy the children had creating a replica of one of GOD’s greatest promises! We had a rough start the first couple of days, as the team fought a GI bug floating around the compound. Needless to say team building was put on hold, unless you add in talking about our bodily functions at the dinner table team building! Because even if you think it isn’t bringing us closer, it is. We are 16 people from different places in our lives and GOD has a plan for each of us; he has put us on this trip for 16 different reasons. He has been with us throughout our journey leading up to this trip and I can see him all around us while we are here. Today, he placed us in one place to experience his Love and Grace through the eyes of his children.